Finnfund, a Finnish development finance company, has invested $6m in Jumo, a financial services platform providing mobile financial services in emerging markets. Finnfund’s investment, which takes the form of a debt instrument, will support Jumo’s expansion in Africa and Asia and the development of its platform in order to provide new services for SMEs, small and medium-sized enterprises. This investment is part of an overall $24m loan facility, which was arranged by Gemcorp Capital, an independent emerging markets investment management firm based in London and an early investor in Jumo. “Financial inclusion is very important for development; people need to be able to access quality financial services. It gives them security, enables them to plan their lives more effectively and often gives them an opportunity to start or grow their own business and improve their livelihoods,” he said. Jumo is a multi-sided platform for mobile network operators and financial service providers. 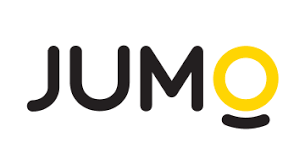 To date, Jumo has served over 5 million people in Africa and Asia using behavioural data from mobile usage. Users are able to create a financial identity and gain access to affordable, real-time, financial services fitted to their specific needs. The services are benefitting broad segments of customers including people with low incomes and those who own micro, small and medium enterprises (MSMEs) who have previously been excluded from traditional banking services. Jumo‘s big data analytics capability allows cost-efficient provision of loans, currently from as low as 1 Euro to 400 Euros or much larger amounts for larger businesses. The loans are facilitated by Jumo’s predictive technology and are funded by Jumo itself or banks and other financial services partners. More than a third of adults in the world have limited or no access to formal financial services. The majority of these people are concentrated in emerging markets such as Sub-Saharan Africa and Asia, where Jumo operates. In the majority of these markets, nearly 80% of its customers have never accessed formal financial services before. The recent growth of mobile money services lays a foundation for greater financial inclusion in these markets. Jumo developed its model through extensive ground work in financial services in Africa, launching the first mobile product in 2014 and has granted more than 20 million loans. Currently, the company employs over 300 people, who are mostly based in South Africa. The main markets include Tanzania, Uganda, Zambia, Kenya, Rwanda, Ghana and Pakistan. “As an investor, Finnfund brings a sharp focus to achieving meaningful social impact with sustainable profit. That aligns well with our mission,” said Andrew Watkins-Ball, founder and CEO of Jumo. “Having proven our model, we are now expanding our footprint to reach millions more people who are excluded from the formal financial system. With Finnfund we have an investor who supports our view that inequality is unacceptable,” he added.